FEBRUARY 14, 2019 (DEBERT, NOVA SCOTIA, CANADA) — The Peerplays Blockchain Standards Association (PBSA), a non-profit organization that supports the development of provably fair gaming on the Peerplays blockchain, today announced it has reached agreements to list the Peerplays (PPY) core token on leading digital currency exchanges, IDAX and Exrates. IDAX consistently ranks among the top 15 exchanges by traded volume, according to CoinMarketCap, while Exrates usually places in the top 40 exchanges globally. Peerplays, for which PPY is the core token, is a decentralized global gaming platform built on the most advanced blockchain technology available today, bringing a new paradigm of fairness, speed, transparency, and security to the global gaming industry at significantly reduced costs. The launch of the first DApp (Decentralized Application) on the blockchain was announced in June 2018 in the form of BookiePro.fun, a decentralized sports betting exchange that leverages play tokens and was the first public showcase of provably fair sports betting on a blockchain capable of handling transactions on a global scale. Additional DApps and features are being developed by community members around the world, ongoing, in areas of interest including lottery, sweepstakes, eSports tournaments, and challenger games. Sidechain technology, bringing BTC – with the potential for other cryptocurrencies – into Peerplays for use within DApps, makes it the perfect platform to power the growth of gaming beyond the crypto community. IDAX (International Digital Asset Exchange) originated from the GBC (Global Blockchain Research Center), an international blockchain research center. Its global digital assets service platform is designed to be user-friendly. The IDAX exchange is supported with superior functionality, utilizing multiple cryptocurrencies and several language options. Exrates is an actively-growing platform. It offers trading in a wide range of digital coins and also accepts some fiat currencies. Exrates is focused on minimum commission, maximum security, and easy usability. 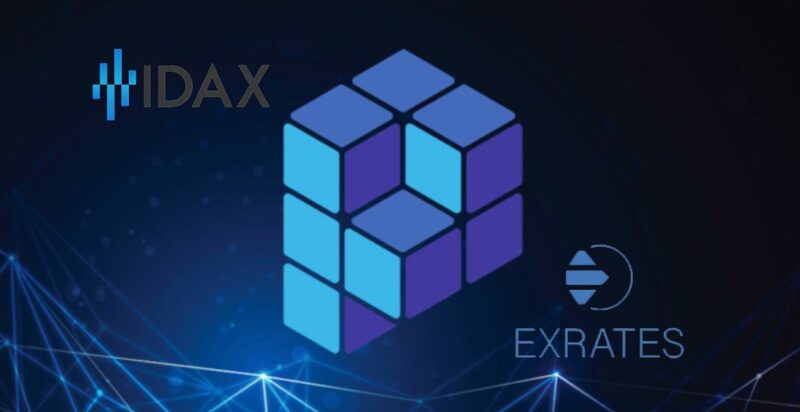 Exrates is a cryptocurrency exchange platform dedicated to offering low transaction fees, high-security measures, and user-friendliness. Exrates is mobile friendly and offers app versions of the exchange, making the process easily accessible. Exrates offers 24/7 online chat support. To learn more about Exrates, visit www.exrates.me.